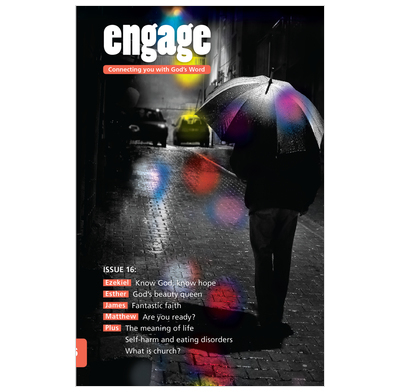 Issue 16 of Engage looks at Ezekiel, Esther, James and Matthew. Issue 16 of Engage - daily Bible reading notes for teenagers. This issue looks at Ezekiel, Esther, James and Matthew. There are also articles on the meaning of life, self-harm and eating disorders, and the church.